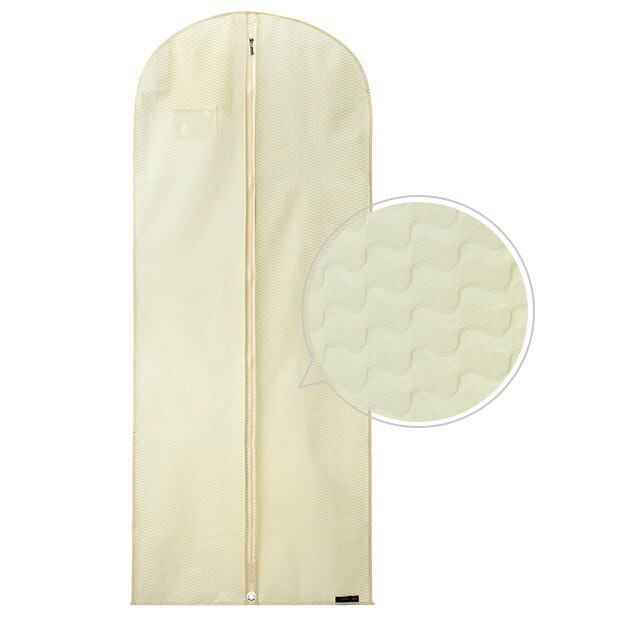 Soft non-woven 60" ivory breathable suit cover with ripple embossed design. Quality full length zip, shaped shoulders, top hole for hanger hook. Ideal length for dresses, suits, jackets, shirts etc. Clear identity pouch - metal eyelet on lower seam for slotting over hanger hook, allowing garments to be easily carried folded in half. Protects clothes from dirt and dust when storing and for light travel.